Disclosure: The coupons for product redemption, information, and gift card have been provided by Entenmann’s® Little Bites® so that I could try the product and share my thoughts and information about Entenmann’s® Little Bites®. The opinions expressed in this post are my own and do not reflect the opinions of Entenmann’s® Little Bites®. Snacks are essential for on-the-go tots. Growing up with a variety of Entenmann’s® treats myself, I was definitely a fan of the Entenmann’s® Little Bites® Muffins for my kids. They are packaged in the perfect serving size and the bite-sized morsels are just right for their age. There are a variety of flavors offered year-round such as Chocolate Chip and Blueberry Muffin as well as seasonal Party Cakes, which are soft and moist, made with real ingredients and never contain any high fructose corn syrup. As a seasonal favorite, Little Bites® Strawberry Yogurt Muffins are back by popular demand and now available nationwide and year-round! Little Bites® Strawberry Yogurt Muffins are made with real strawberries and come in perfectly portioned pouches ideal for breakfast or snacking on-the-go. These muffins feature a light, delicious blend of fruit and creamy yogurt that is sure to keep strawberry-lovers of all ages smiling together. 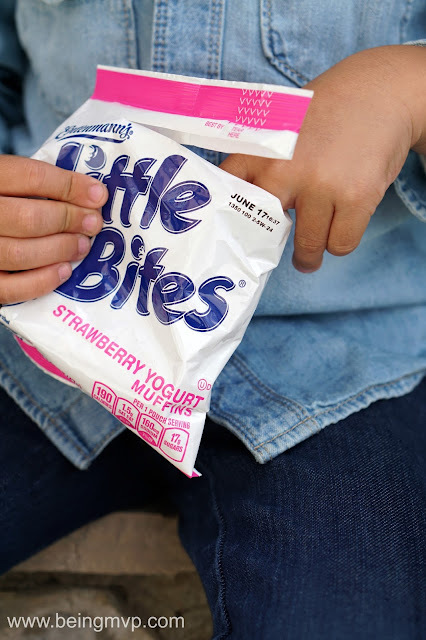 With less than 200 calories per pouch, Little Bites® Strawberry Yogurt Muffins are a good source of calcium and vitamin D, and never contain high fructose corn syrup or trans-fat. The kids love this flavor and have now requested in their weekly snack bags for school as well as for stock at the house. One Winner will Receive three $5coupons, each valid for $5.00 off the purchase of Entenmann’s® Little Bites®, and a $25 Visa gift card! perfect of my son, on the go!!!!!!!!!!!! Perfect for quick snack during soccer practice! My kids would love the chocolate chip flavor, they could take them with their lunch. My kids wold love them because of they are small and they have many flavors! My kids love muffins and these are the perfect snack size. They would love these because they taste good and are easy to pack in their lunch bags. My kids love muffins and we are always on the go so these are perfect! My daughter loves these for breakfast! 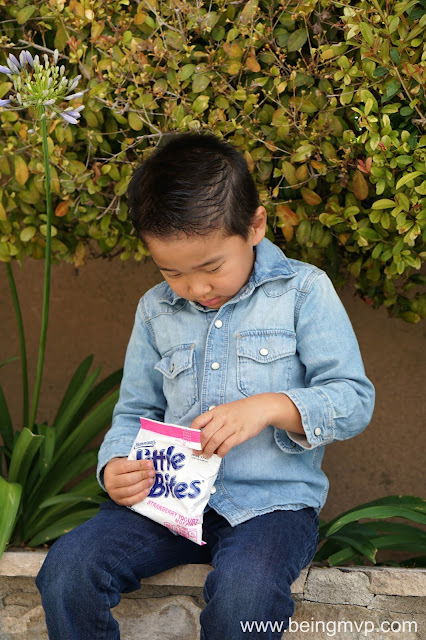 I love Little bites because they are a portable and convenient snack! Our kids love the variety and flavor, we love that they are individually portioned and easy to take along. My son and daughter would love to try the muffins out. They look delicious! My son would like these as a summer snack at the water park! My nieces and nephews would love these because they are a perfect size snack and they taste great. My kids would like these for a quick breakfast or snack. The kids would love to have these in the car when we travel. My nephew would love them because he loves sweets! I love Little Bites because they are so delicious and easy to transport. These would be great snacks to pack for summer trips to the zoo, etc. I like Little Bites because they are small and taste so good. My kids enjoy them as after school snacks. I like to have Little Bites on hand when my grandchildren visit, because they love them, and I feel good serving them to the kiddos. My son would like them because he loves muffins. My mini would love these because he loves chocolate chip muffins! Because they're delicious and sized just right! My nephews are nuts for Little Bites. They are here after school most days & they can go through a box of Little Bites in about 30 minutes, lol. My mini would love the Entenmann's little bites because they are delicious and would be a fun treat for breakfast. My kids would love this for the great flavors and small bite size to fit their mouth! She loves it as a snack. Tastes great. We love them because they are the perfect size for the kids! My daughters love to snack and eat sweets. 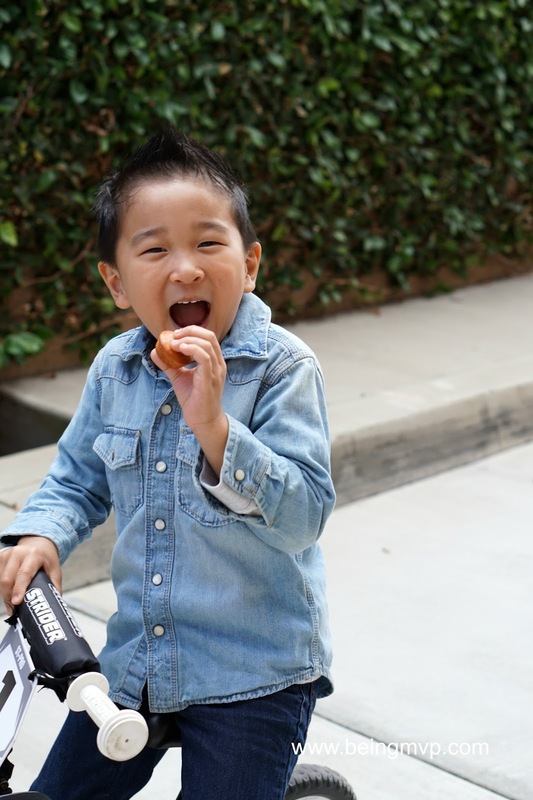 My son loves a sweet but filling on the go snack! My little bitsy ballerina loves these for a quick snack between dance class and homework,she loves them. My grandson loves Little Bites because are the perfect size for when a munchkin gets the munchies! My grandsons would love these Little Bites muffins because they're delicious, moist, and the perfect size! My son loves the small size, and it's a great portable snack for the car, or to pack as a sweet treat in his lunch. They are tasty! Thanks for the chance to win! We love the Brownie Bites! My mini would loves these because they make a great snack or a quic breakfast. My kids love these! They are a fun portable treat! My kids would love these as a fun and easy snack in their lunches. Little bites fit in our little one's hands, and she loves them. My daughters love packing little bites for snack at school. Thanks so much for the great post and giveaway! My children love Little Bites because they are so tasty and so convenient for a fun snack. My granddaughters name is Mini and loves to eat anything sweet. My son would love them, because they are delicious! I love them because they are a classic and always hit the spot. My boys love Little Bites, they make a perfect after school snack. They are the perfect snack any time of day and come in delicious flavors they will love! My three kids can't get enough of them. They love the fudge brownie and the chocolate chip flavors. My son loves when I bring boxes of any type of Little Bites home. We all love the chocolate chip muffins. Because they're sweet and portable. It would be perfect for a mid morning snack. We all love them here. They are the perfect size to gobble up. I think the ones that go the fastest are the fudge brownies. Oh he would love them...being the perfect size for the little ones!!! My little ones love little bites! They're the perfect after school snack! Give him a shoe with sugar on it and he'd devour it. My daughter would love to take them to school for a snack or with her lunch. The kids love the great taste, I love the small size so there is no waste. My family loves brownie bites. Because they are a good snack! My kids love the Little Bites! I think they love them because they are not only good, but come in individual packages they can enjoy on their own. :) We just tried the new strawberry yogurt flavor, they are delicious! My minis love these snacks on the go. They are so easy to bring on the go. Their favorite is chocolate chip. My minis would love entenmann's because they love muffins and these minis are the perfect size for them to enjoy. Mine would love them as a quick breakfast on busy school mornings. Because he loves his "nacks" as he says. My kids will love this because of the taste and also the convenience. They would love to bring this anywhere they go. My kids would like to take these snacks to the zoo. She loves chocolate so we would have the chocolate chip muffins for breakfast! 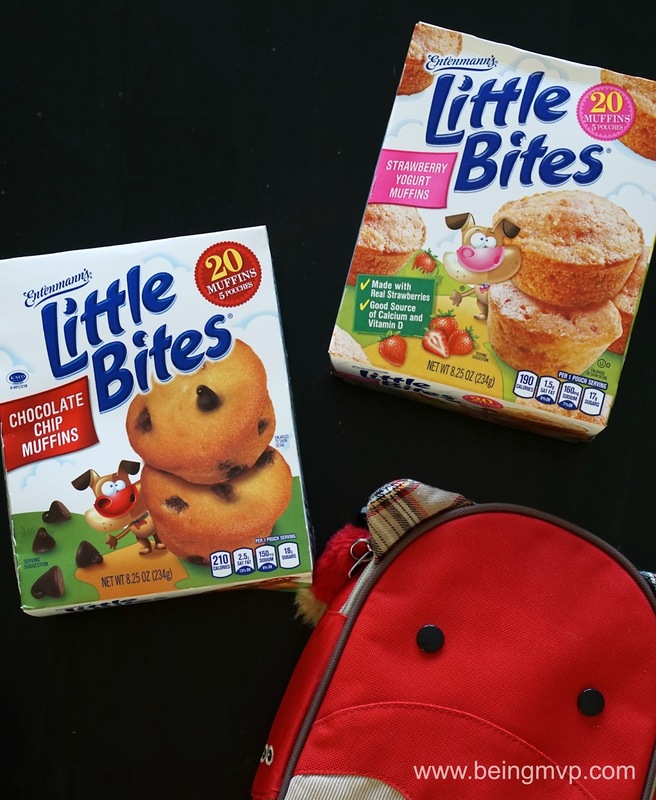 My daughter loves these mini muffins as a snack; they are the perfect size for her! My daughter really likes them as they are easy for her to eat. These are easy to eat and pack as a snack, that is why everyone likes them so much! My kids both have a sweet tooth. We've tried the Mini-Bites before and they enjoyed them. We love Entenmann's Little Bites because they're bite-sized goodness. We love them because they are bite sized and easy to take on the go! They're a fun, quick sweet snack. Just the perfect serving size! Mine would love these because they love all of their flavors. They're also just the right size for the kids so they don't overdo it. You can find Michael Kors handbags in many department stores around the country. They are being seen all over the place. There are so many fabulous handbags to fall in love with. To find these amazing handbags you can also shop online for all your Michael Kors products. Visit Elizabeth Pyo's profile on Pinterest. Hostess Wanted :: Get FREE Jewelry! The Alternative to Traditional Crib Bumpers: Wonder Bumpers & Giveaway! Del Taco: Shredded Pork Carnitas & Giveaway!